250 Litres of Beans Req. You might see our humble Footstool as just a small add-on to other furniture, but it’s this little thing that can really up the ante to your comfort. 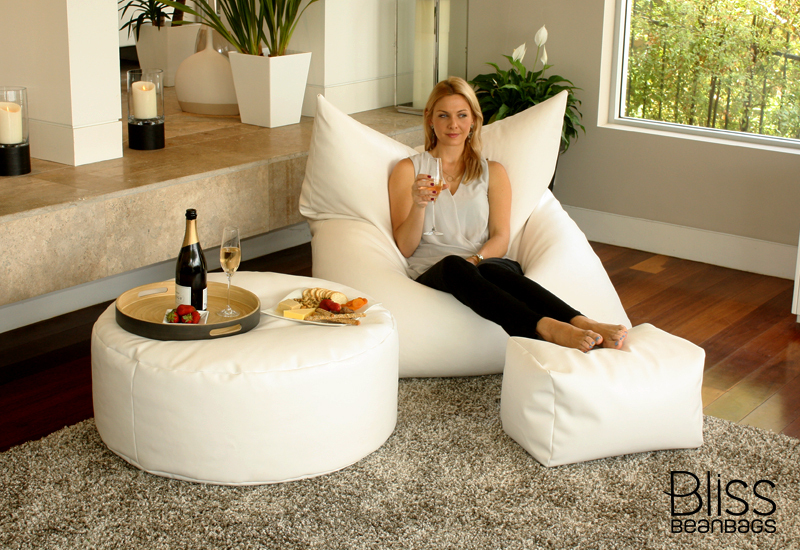 Snuggle into any of our bean bags or your existing armchairs, and then feel the difference a little foot elevation can make. Ah, bliss. If you get just one, be prepared for competition in your household over who gets to use it! 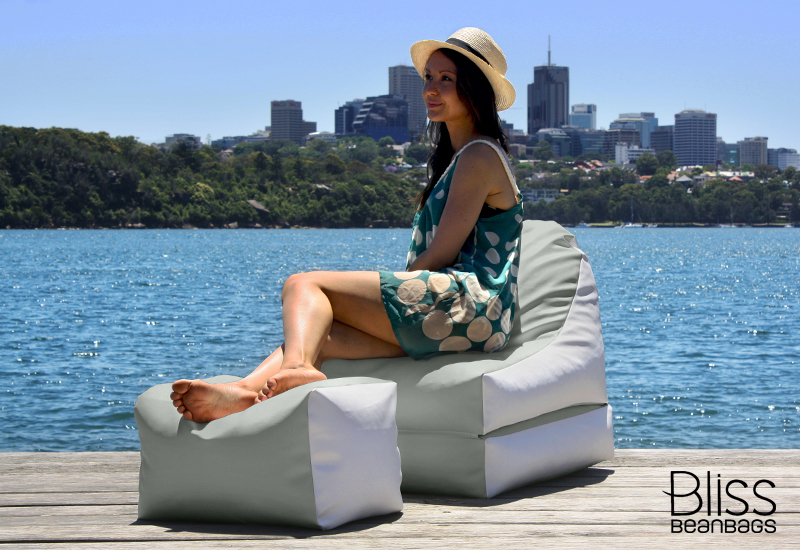 At 50cm wide and 30cm high, this super-light foot stool can be tossed around from TV-side to pool-side. Match (or clash) the colours with your existing décor, and simply enjoy. Great addition to the two bean bags we purchased, fits at the right height and I like that I could match the colours together with the bean bags. I wasn’t sure if it would be worth it getting the footstool to match with the additional cost. Howe we are glad that we did. 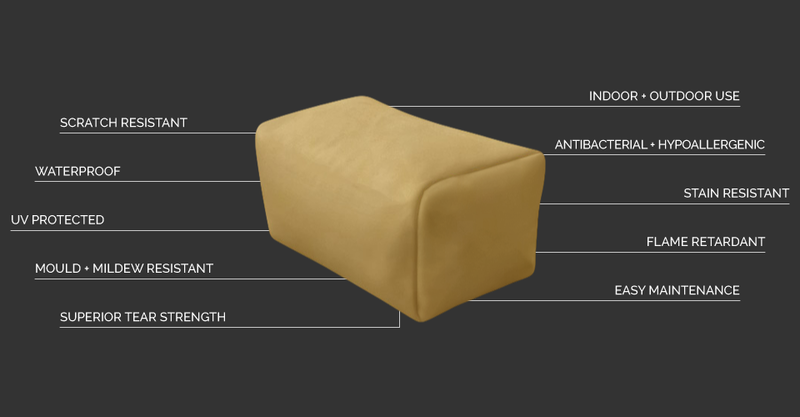 We didn’t realise that the footstool also acts as another bean bag to rest on, like a stool when the family comes over. 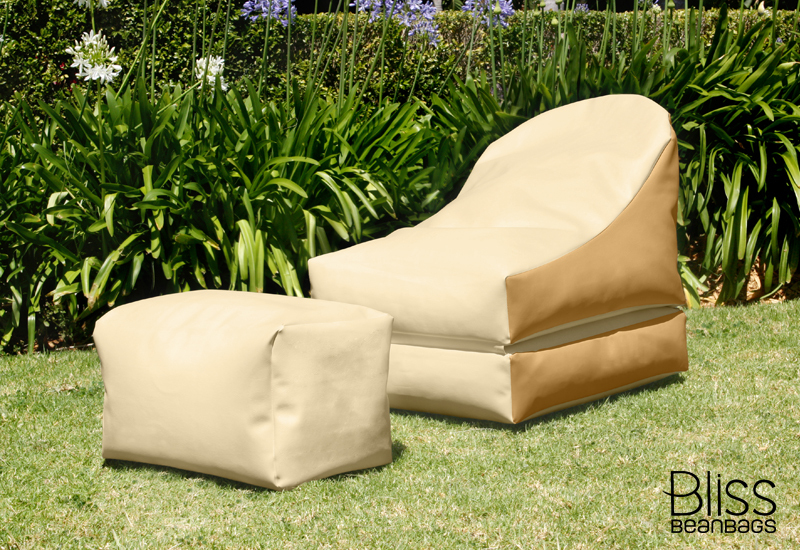 Great to sit on around the BBQ or just rest outside. 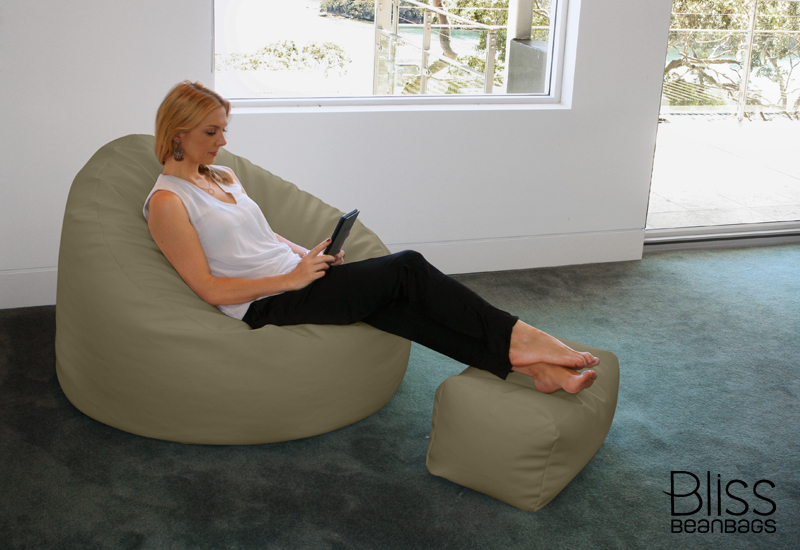 We make our great looking, durable footstool bean bags from a specialty crafted marine grade vinyl. This fabric, with its many safety features, also retains its vivid colours over many years. 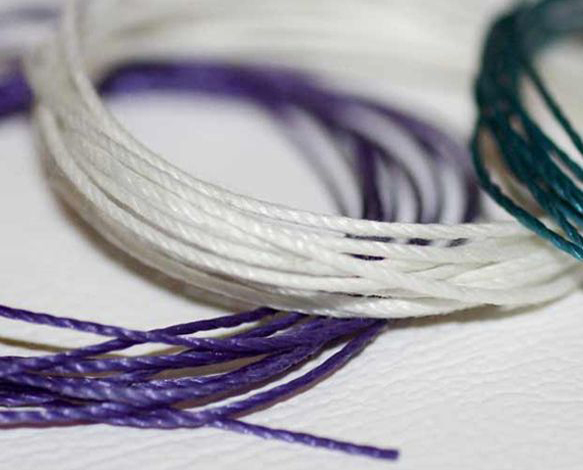 Pick from 120 fantastic colour combinations today. 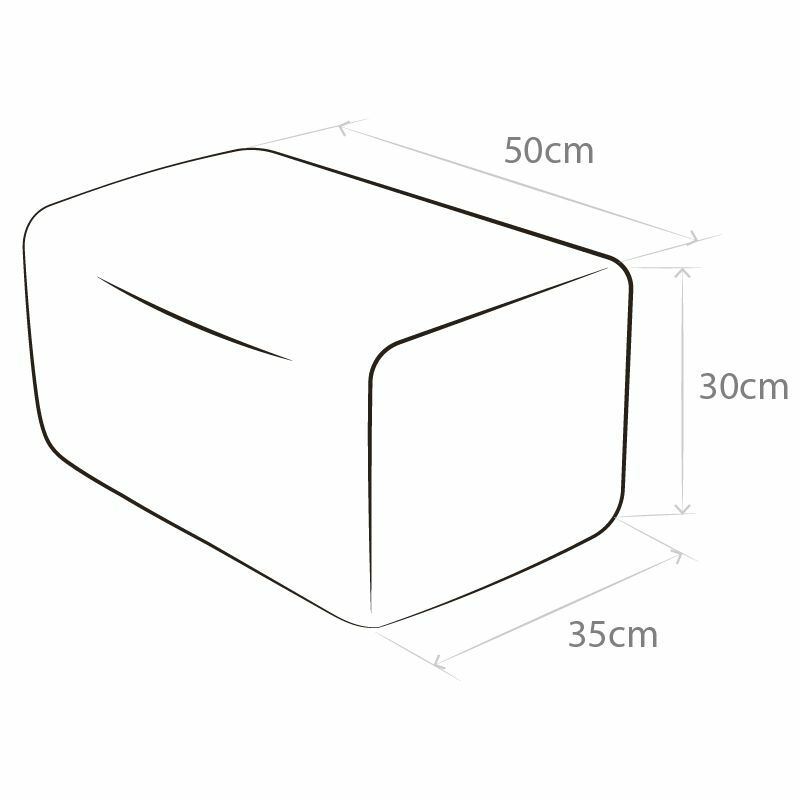 When creating our lovely, striking bean bags, we always keep an eye on the future. 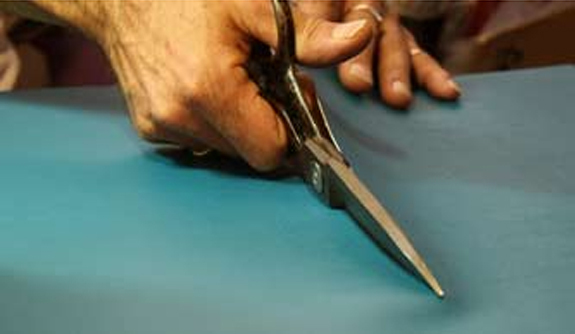 That's because our higher goal is to maintain the great looks of our bean bags over a lifetime. 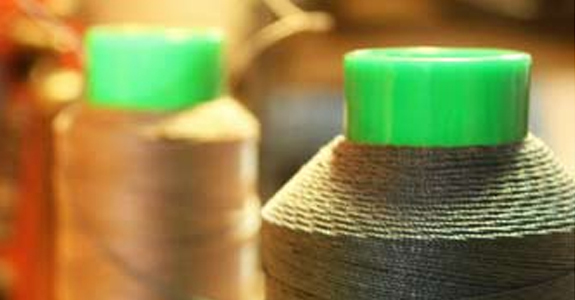 It's why we use the super strong 25 Ply nylon thread to sew our footstools together. This thread resists the disintegrating effects of water and UV rays and can even tolerate temperatures as high as 200ºC! 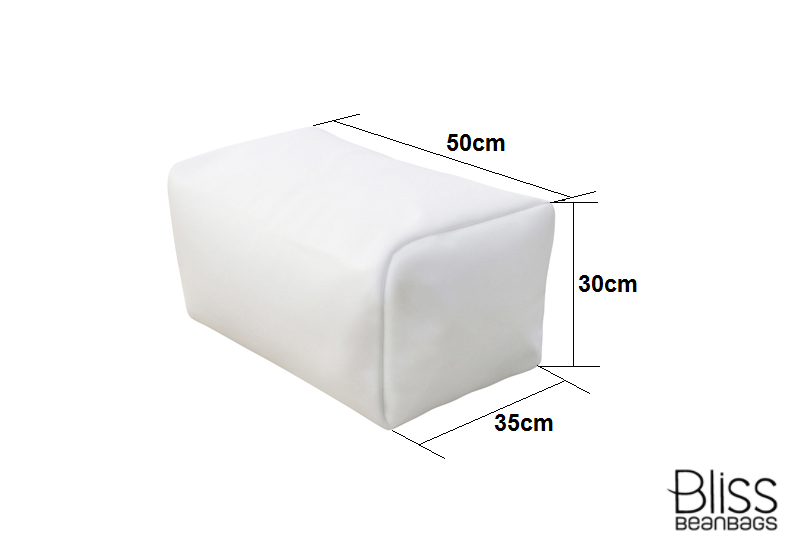 We also ensure the thread colour matches the vibrant fabric colours that you can select when ordering your footstool bean bag. We're quite fussy about these things! Should you have any doubts about safety, we have your concerns well covered. Precisely so. 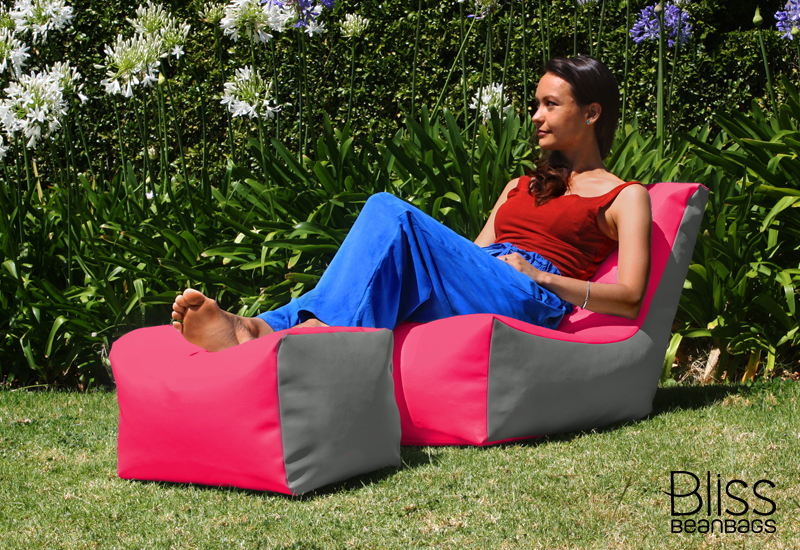 Our bean bags all feature a safety zipper with a trigger that, using a paper clip, has to be raised up to open or close. 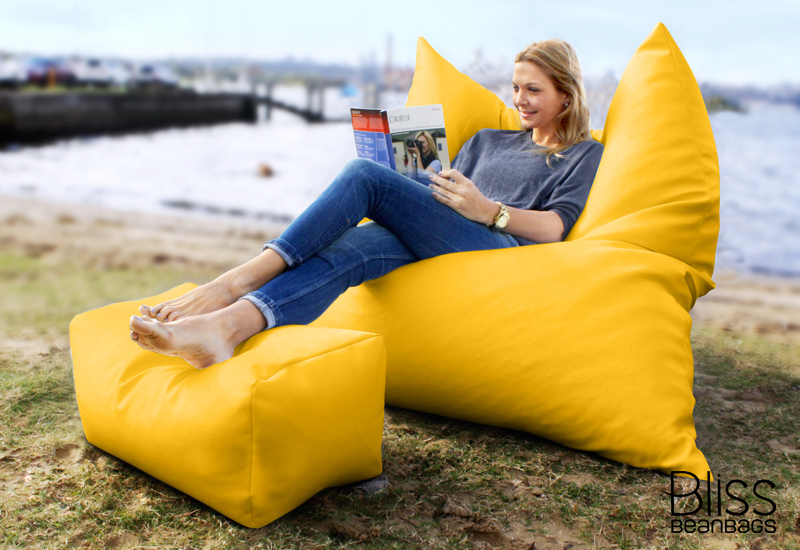 You or your family may subject your bean bags to lots of rough handling but you won't have to worry about scratches, snags or bean bag spills. So go on and jump on them all you like. We can't help being sticklers for details. 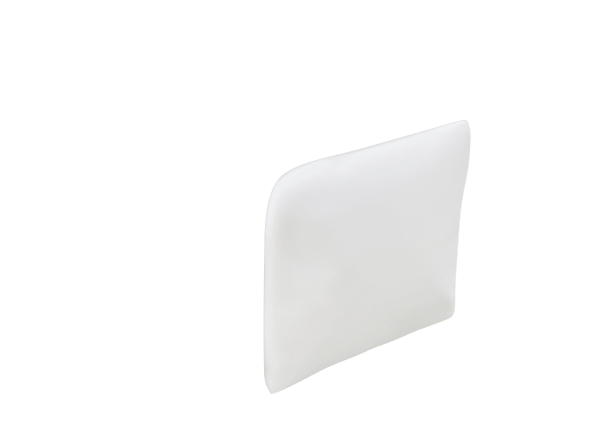 We've really concerned with safety and beyond using safety zippers which ensure the bean bags won't inadvertently open, we've also included a raised covering of fabric that goes over the clasp of the zipper to prevent any scratches or snags from sharp edges. Our 'gestation' period was rather prolonged. 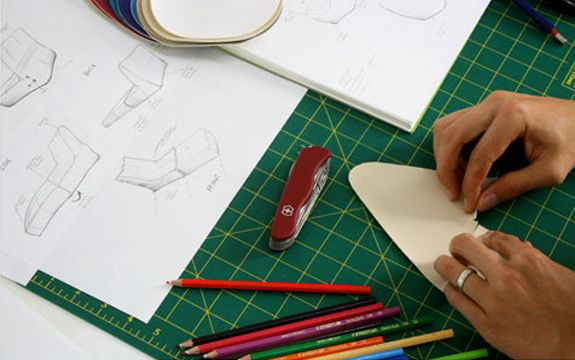 Before we sold a single bean bag, we conducted all our trials and errors to make sure we had our products right. 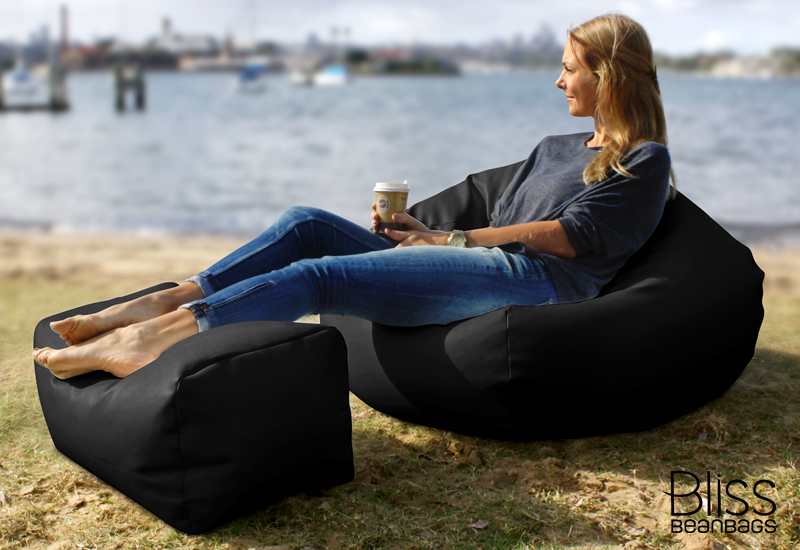 Our goal was to meet the challenging conditions of the contemporary Australian lifestyle, providing a light footstool bean bag that stays looking great for many years. 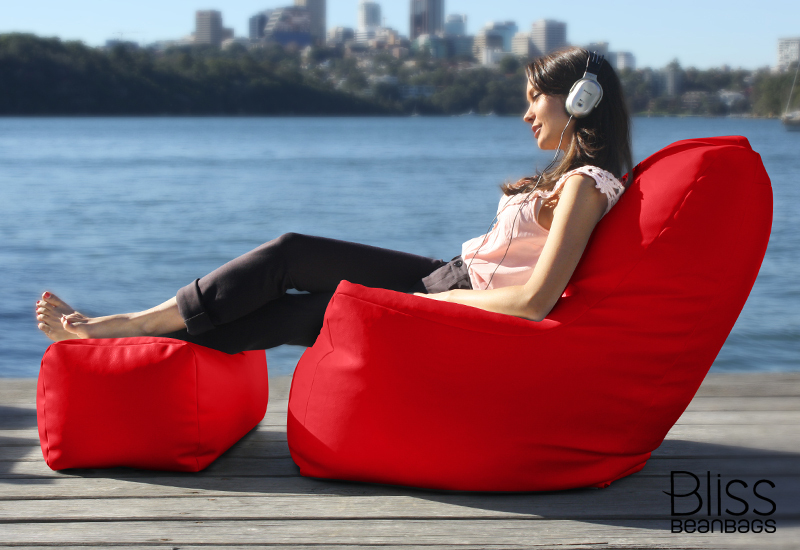 The bean bags we make have something really special about them. 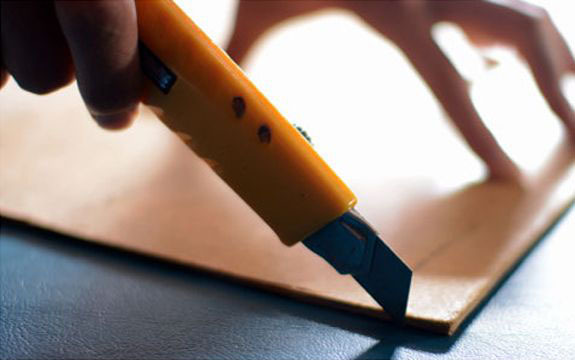 It's got to do with the hours we spend on the tactile process of creating them by hand. But we're not quite ready to let any go unless we're happy that every detail is made exactly to our standards. And so after completing each bean bag, we cap this off with a thorough inspection to ensure it's made right. 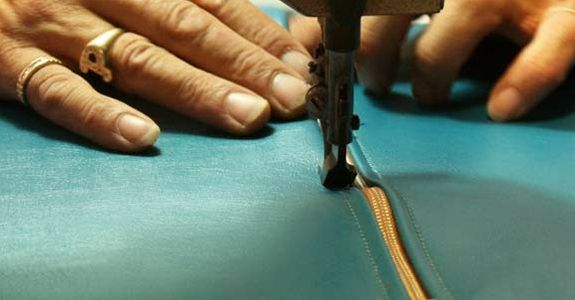 We check that all safety zippers function, that there aren't any irregularities in the fabric, and all thread lines are stitched evenly. 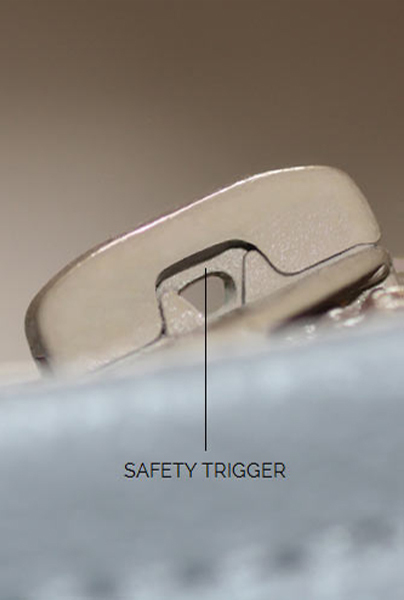 Details such as these are important to us because we stand behind each product with a lifetime warranty.